There have been 1,227 images uploaded to this topic. (View topic image gallery). 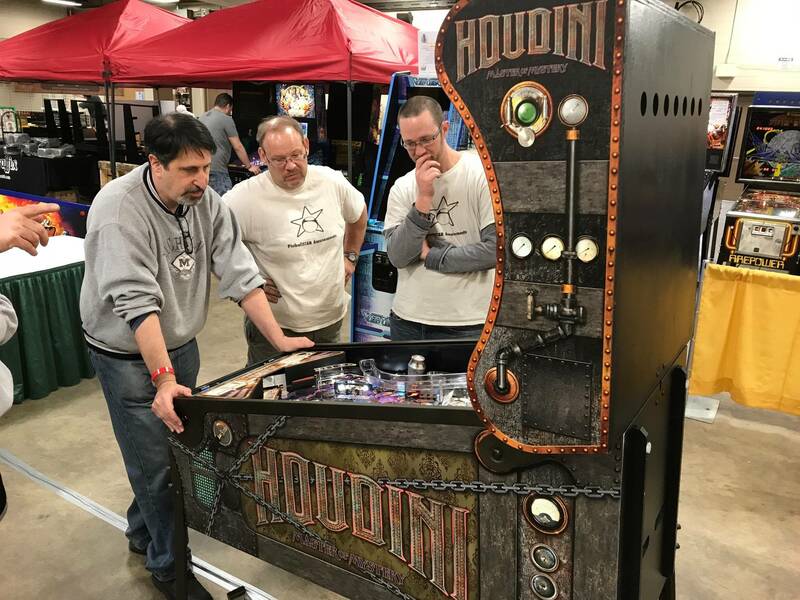 Who wants to play Houdini at Allentown Pinfest ? 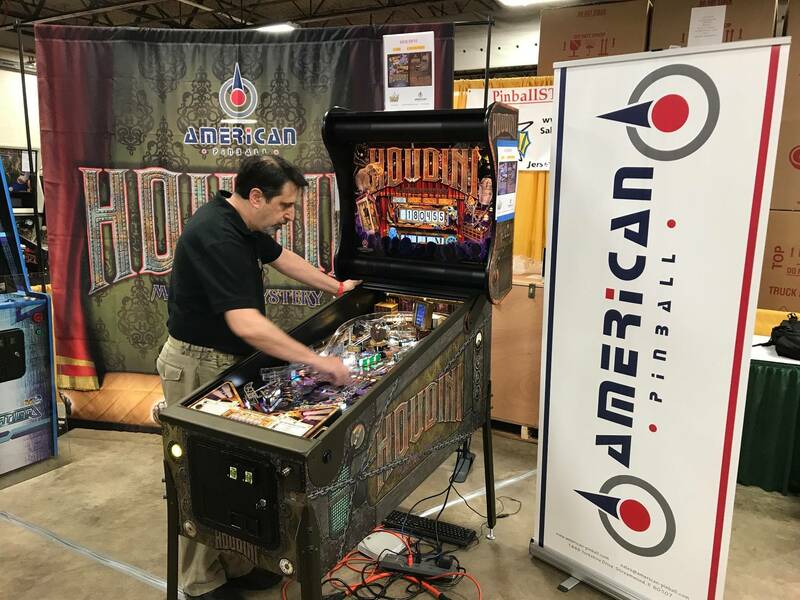 PinballSTAR Amusements is now an American Pinball distributor and will have Houdini at Allentown Pinfest May 5th and 6th. 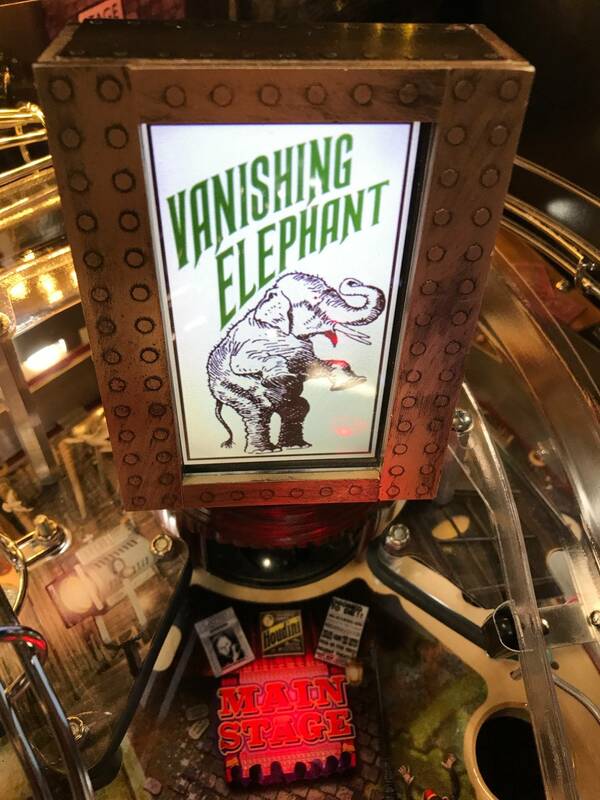 We are taking refundable deposits of $ 250 to reserve your spot and get in line for the game or email us at Sales@PinballSTAR.com to get on the interested list as more info becomes available and game gets closer to production in later 2017. 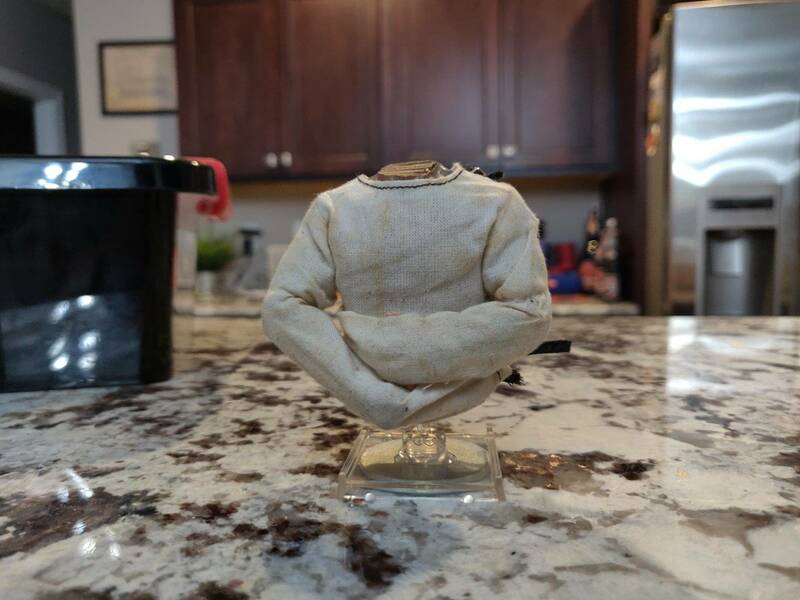 Price is $ 7,000. 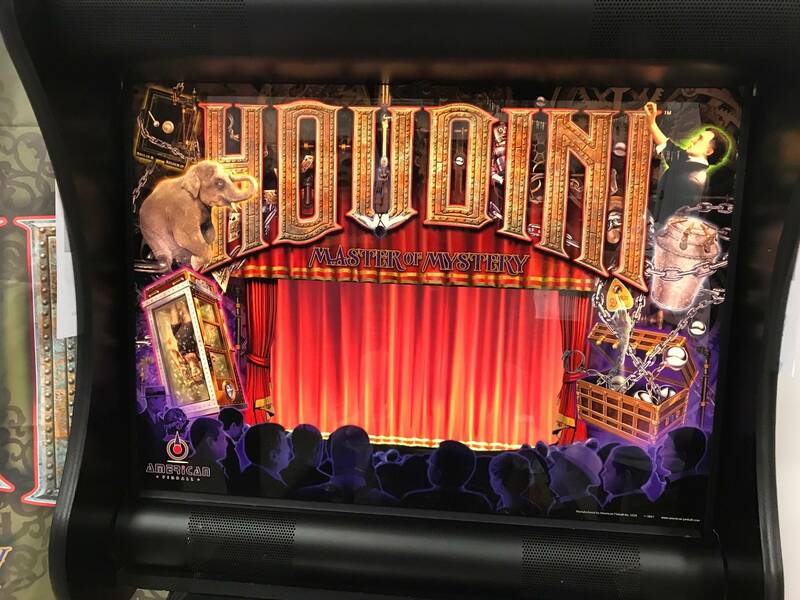 American Pinball's Houdini will be in the PinballSTAR Amusements booth. We are authorized distributors and taking $ 250 refundable deposits now and at show to get in line for the game. 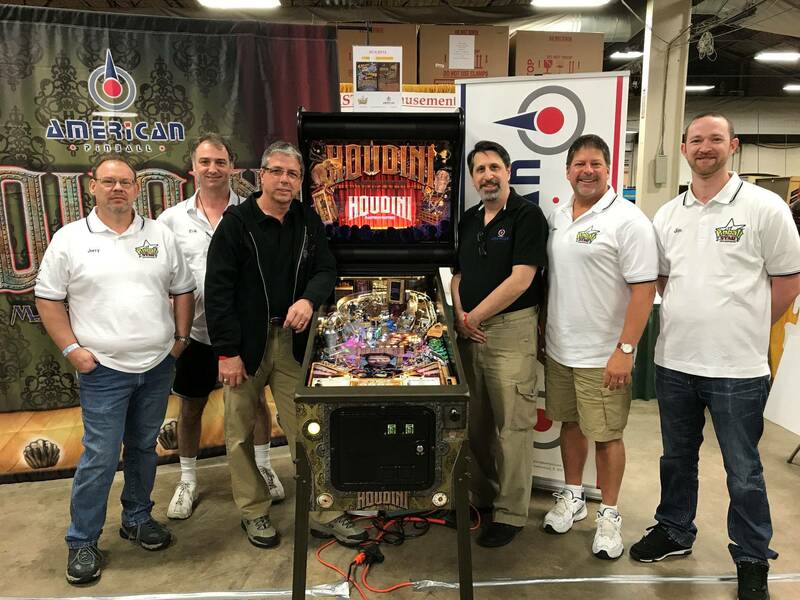 So not only did we make a big effort to get Houdini to Allentown - but we are also having designer Joe Balcer and programmer Josh Kugler at the show in our booth as guests ! Come play the game and discuss it with the two guys who have and will put the finished product together ! 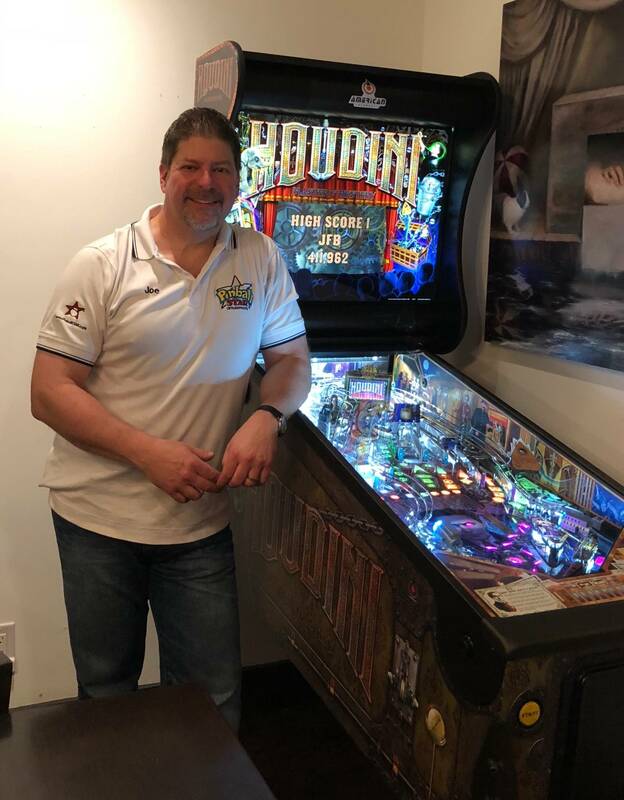 If you want to pre-order one email Joe at Sales@PinballSTAR.com. Houdini took everyone by surprise. 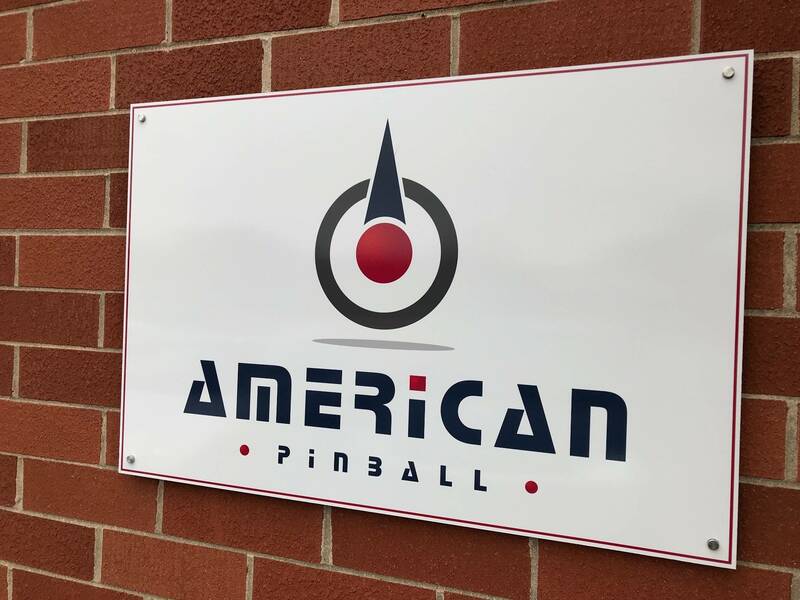 It was also so incredibly cool to have American Pinball send so many folks from Chicago to support us as a new distributor. 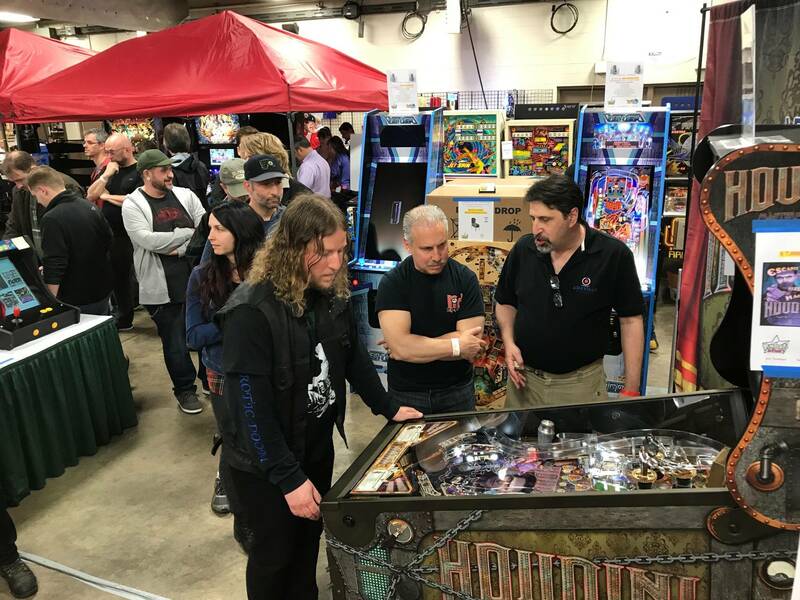 Designer Joe Balcer, Programmer Josh Kugler, and even owner Dhaval Vasani came to the show and had a great time interacting with everyone in my booth. 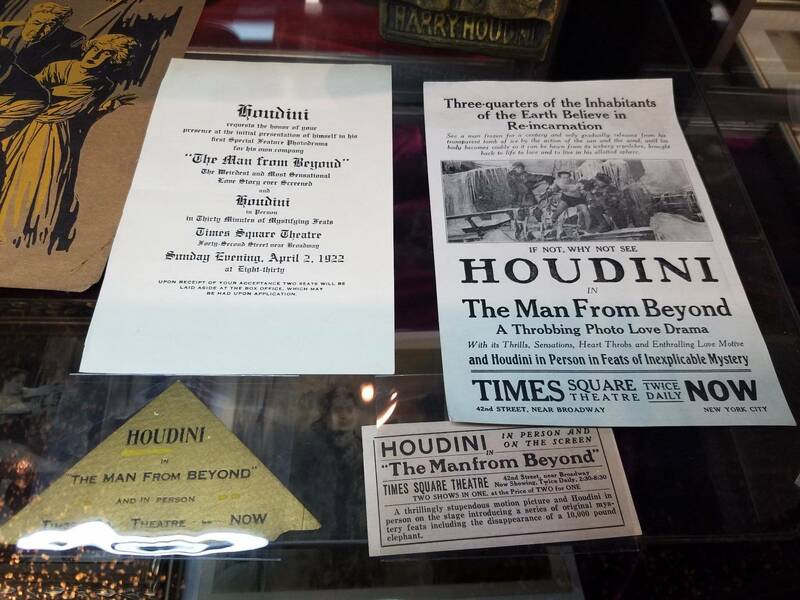 Longest lines in my booth and at the show for Houdini. Pictures attached from the show ! 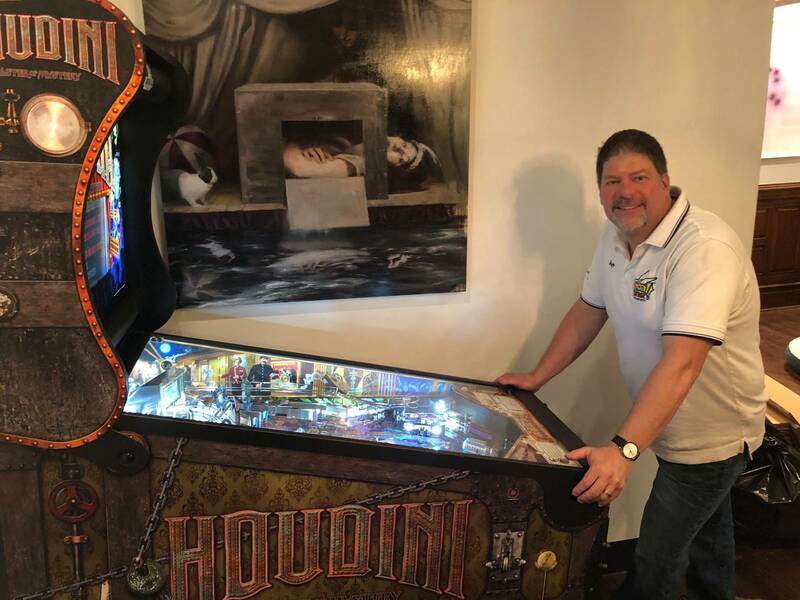 ORDER YOUR HOUDINI FROM PINBALLSTAR by emailing Joe at Sales@PinballSTAR.com. 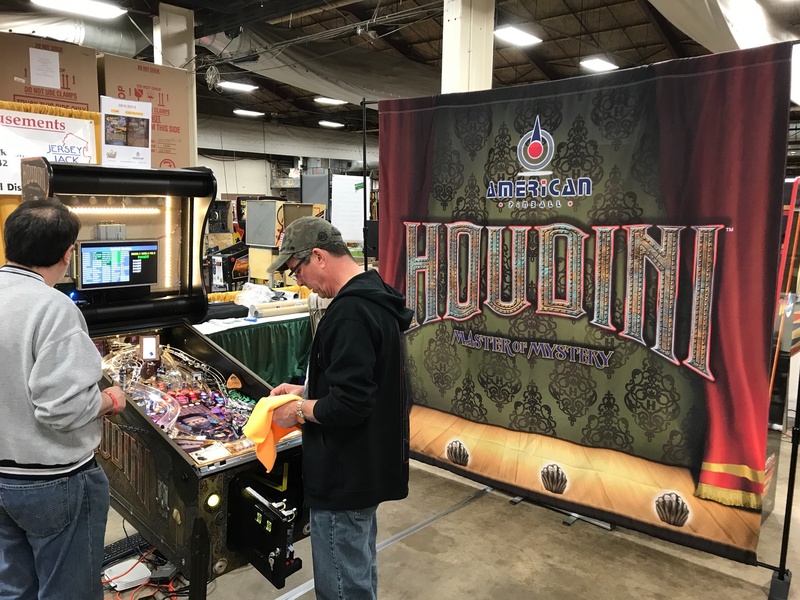 Houdini (set up) AND designer Joe Balcer and programmer Josh Kuglar and owner Dhval Vasini will be our guests in our booth ! $ 250 deposits being taken now to order one ! PinballSTAR is an American Pinball / Houdini distributor. Email us to get on the pre order list. A refundable $ 250 deposit gets you in line ! 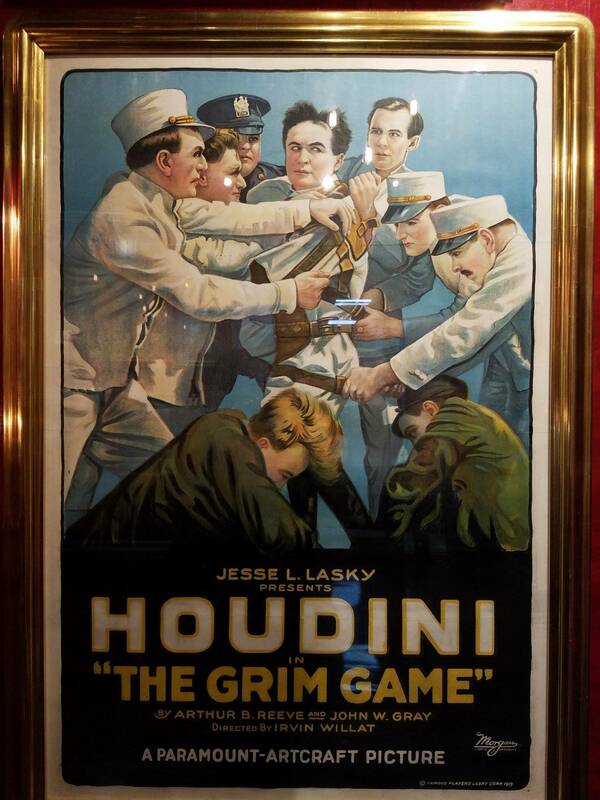 We are jonesing for a Houdini at the York Whiterose Gameroom Show Sept 29-30 in York, PA... Depends on AP's timeline and need for the 2 protos for production which obviously is much more important to the overall picture. We are authorized distributors and are now taking $ 250 refundable deposits to get in line for the game. We hope to be one of the largest AP distributors and will be looking forward to ordering and delivering lots and lots of games... Hopefully many by the end of the year if things stay on schedule. If you have any questions or want to pre-order one email Joe at Sales@PinballSTAR.com. We do need a organized list of Dealers that will offer these nationwide. A coast to coast list would be nice. I dont think cointaker is on the Houdini list, i could be wrong. Well I can tell you PinballSTAR Amusements is an authorized distributor. We've had the Houdini game and Joe, Josh, and Dhaval in our booth at Allentown. We are taking orders with $ 250 refundable deposits. 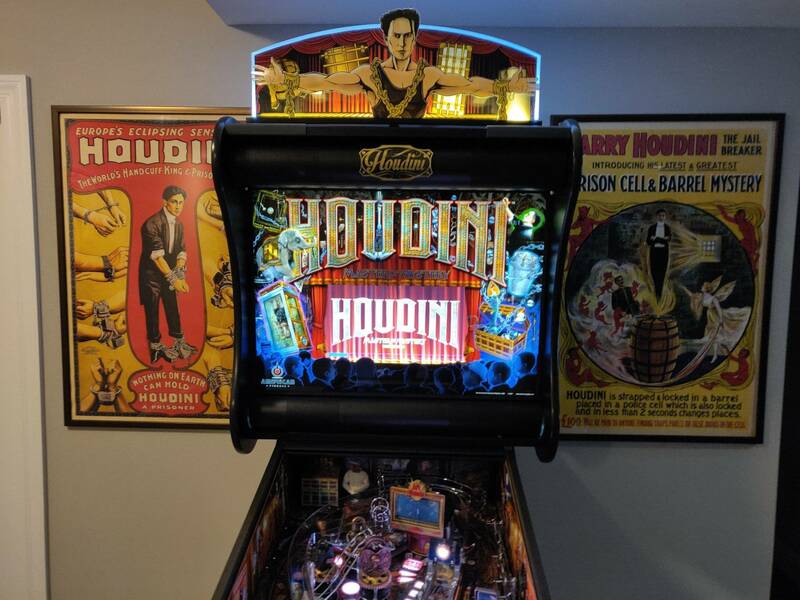 Happy to discuss Houdini with anyone who is interested - shoot me an email at Sales@PinballSTAR.com. 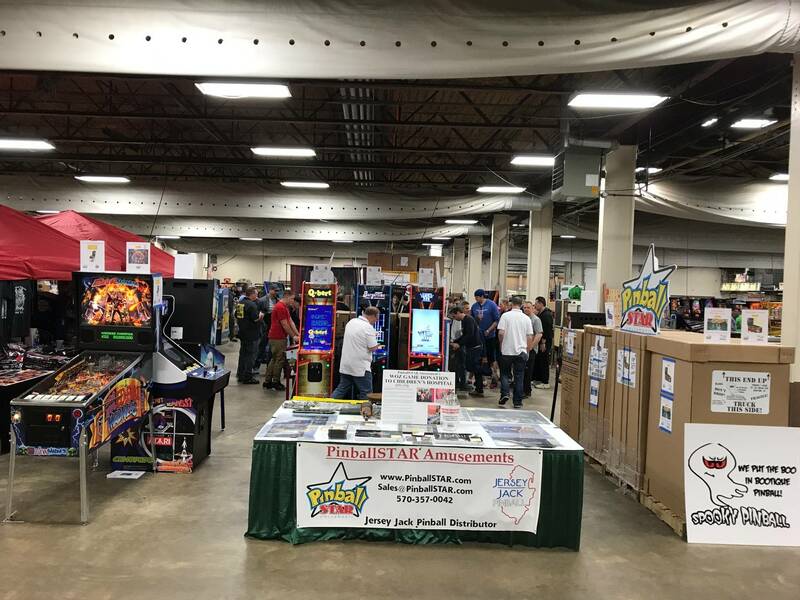 PinballSTAR Amusements will be at the York, PA Whiterose Gameroom Show Sept 29 and 30 - next weekend... 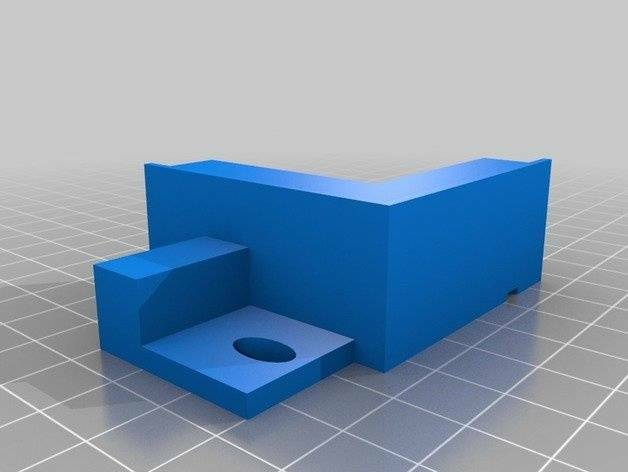 Unfortunately we will not have a Houdini there as the 2 prototypes are getting used to set up the production line and getting programmed... 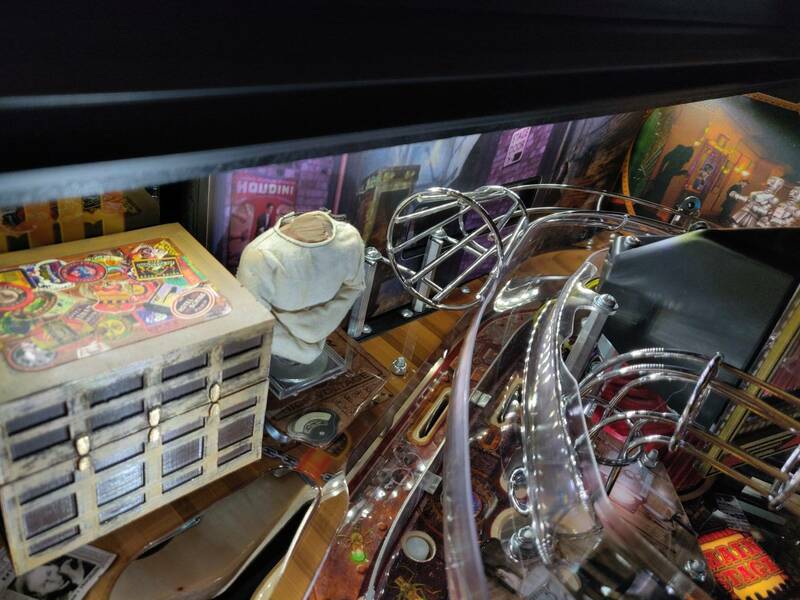 BUT we will be there with free Houdini flyers and limited edition PinballSTAR Houdini posters signed by Joe Balcer from when Joe and Josh were at our booth at the Allentown Pinfest. Of course we'll be taking orders at the show - $ 250 refundable deposit to get a spot in line. 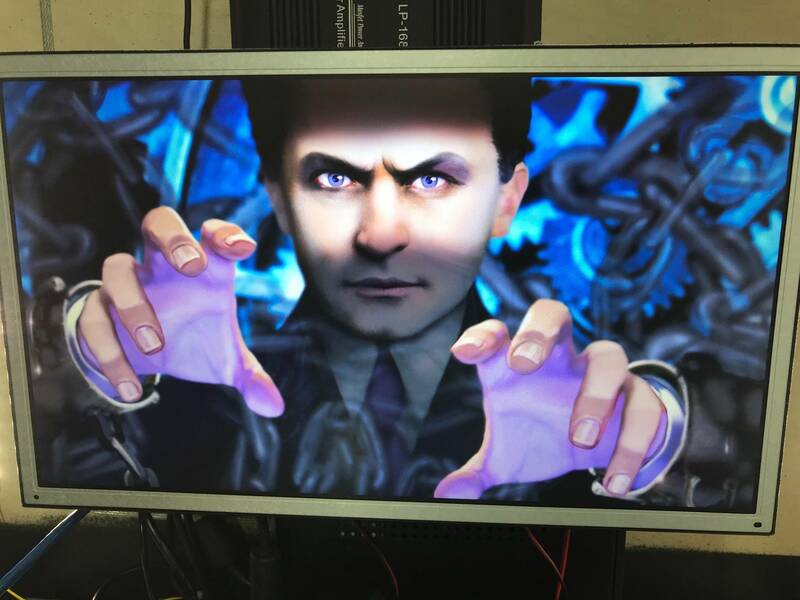 Production to begin soon and games shipping by the end of the year ! 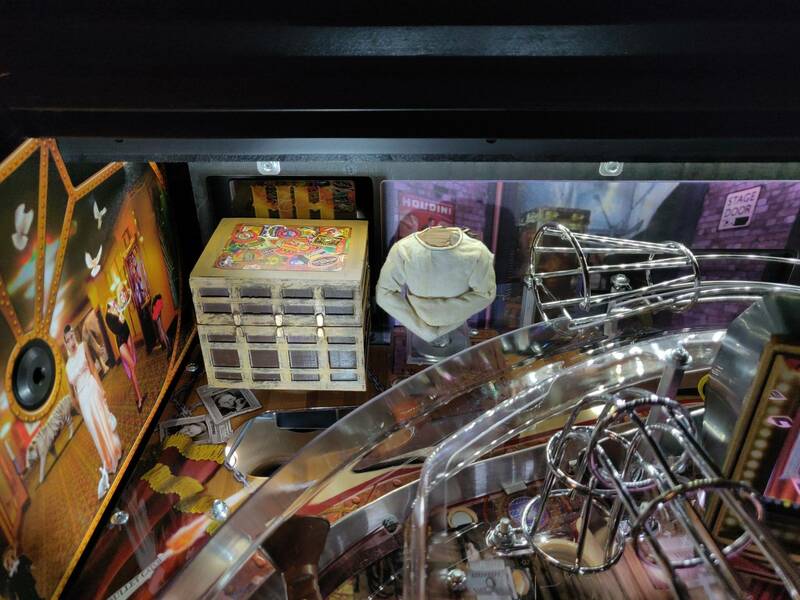 Visiting American Pinball factory today - oh do they have some Houdini ‘magic’ in store for everyone at Expo at their 4pm seminar today. 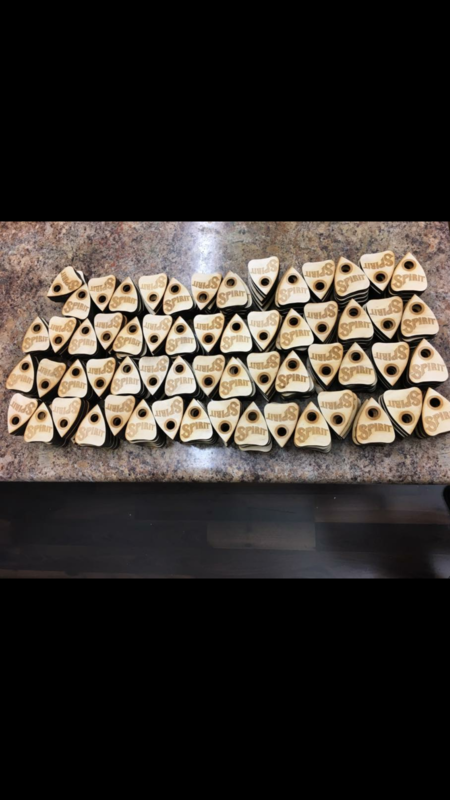 Production line coming together looking to start shipping in November ! Interested, distributors please pm me with best price. Lancaster, Ohio. Thanks. 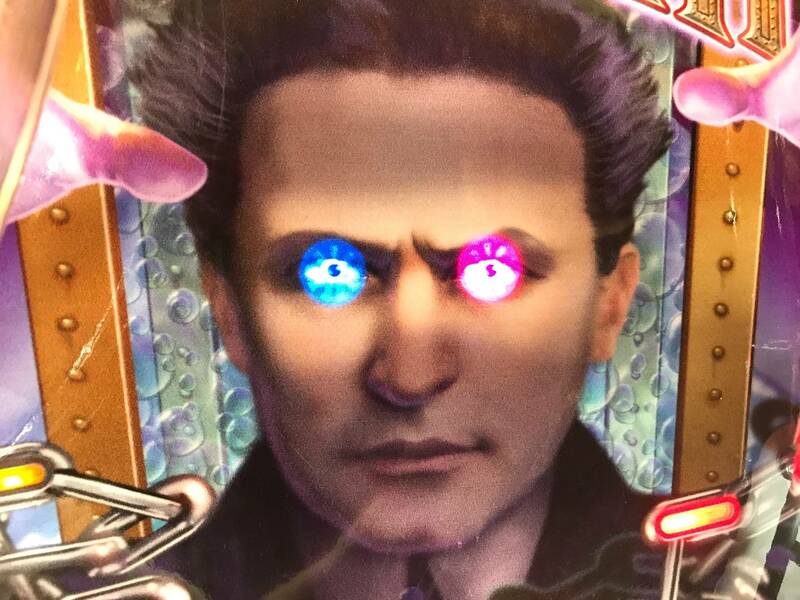 Everyone is at $ 7,000 - we are not allowed to discount, nor is it necessary - Houdini is an incredible game at and incredible price... LE everything you get from other companies at $ 1000 - $ 2000 less and in Stern's case much more. 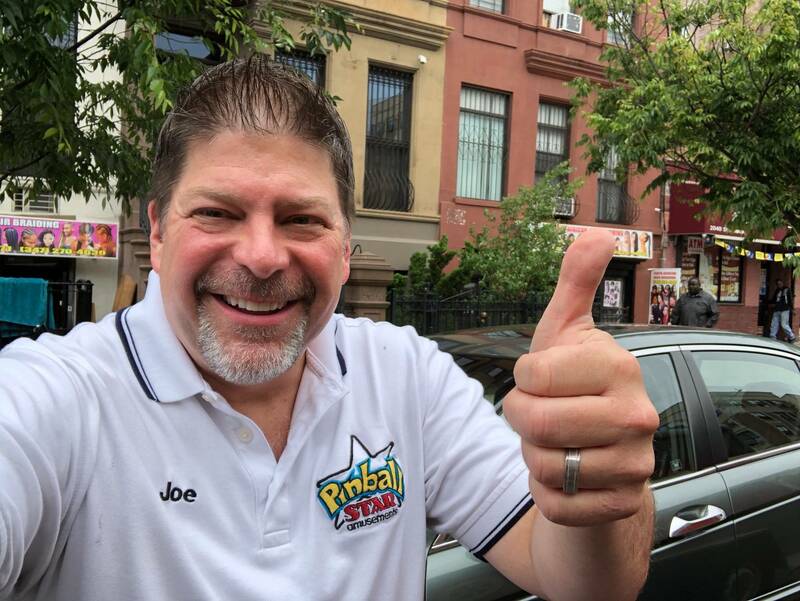 Happy to help you - email Joe at Sales@PinballSTAR.com. Taking pre-orders $ 250 refundable deposit. 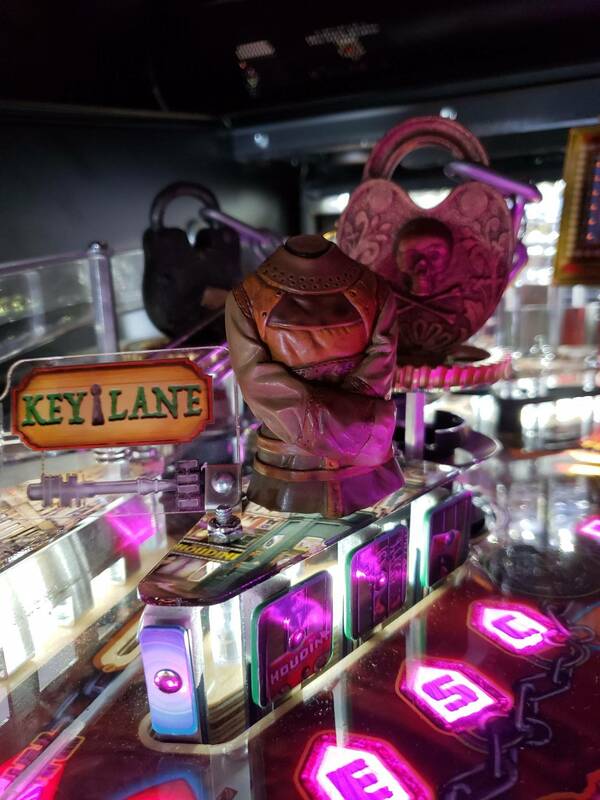 Contact Joe at Sales@PinballSTAR.com - $ 250 refundable deposit to grab a spot in line - we are one of the larger AP distributors so we'll be sure to get plenty of those puppies when they start shipping ! Come on guys, both of you commenting here have gotten updates from me by email or texts whenever asked, immediately. I know you are excited to get your game and I appreciate that, but there is no news to report - they do not make 1000 games a day and fulfill every order on the first day of production. This game went on sale in April, and one of you ordered in June, and the other ordered in October. Unfortunately the fact is people ordered before you. AND they JUST STARTED SHIPPING and slowly at that. It's a new company, a new line, a new game, new employees, etc... There is a learning curve... And I can tell you AP is wildly quality conscious. Joe Balcer, bless him, has been playing every game for 20 minutes before he approves it to go into a box to ship. So, the slow roll out is first expected, and second appreciated - we all would rather have a game that's perfect shipping than one rushed with issues. If you want to call around and get bullshitted with fake dates you'll get told to make a sale go ahead. I do not play games with my customers nor potential customers. I will not be unethical and sell a game early to a new customer to make a new sale while my loyal early buyers sit and wait - so whoever is telling you they can get you a game next week while there are 100s waiting from every distributor for months is either lying to you or might get terminated as a distributor if they get caught doing that line jumping garbage. The 'I can get you a game next week' as was told to me today came from somebody that IS NOT EVEN A DISTRIBUTOR for AP. So take it for what it's worth - it's BS. I can tell you NOBODY has allotments planned out more than a week or knows what they are getting when at this early point - they are just starting to ship to customers after a run of early distributor games and test games for locations. I got an email Tuesday 'we have 5 games for you Wednesday' - that's when I knew I was getting something off the line - a day or days before. They aren't too confident on how many can go out each day just yet so they are just giving them to us as they can when they are done. That will ramp up to faster production and higher confidence soon. Customers are in line. And I am in line with AP. They are doing things extremely fairly, as I am. I can tell you I am one of AP's largest distributors. Here's how it works... If I have say 15% of AP's orders and they make 100 games in a month they are probably assigning about 15 games to me. Someone who ordered 5% of what has been ordered will get about 5. I get asked 'what's my place in line' frequently and I explain to people it's irrelevant for the above reason. Distributors do not get same allotment numbers so # 4 with one guy could be same as #15 with another. 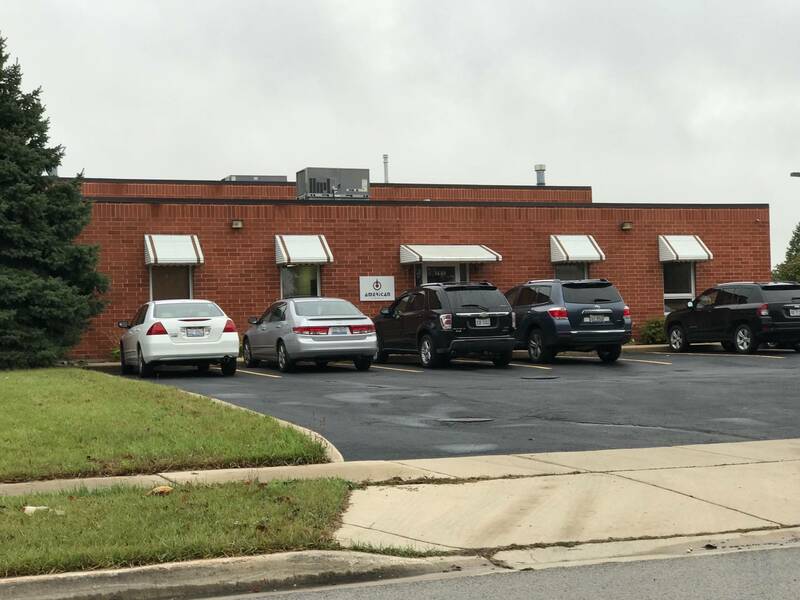 The idea is for the company to try to get product to every distributor in a manner so they are hopefully getting to customers who ordered around the same time frame across all distributors... 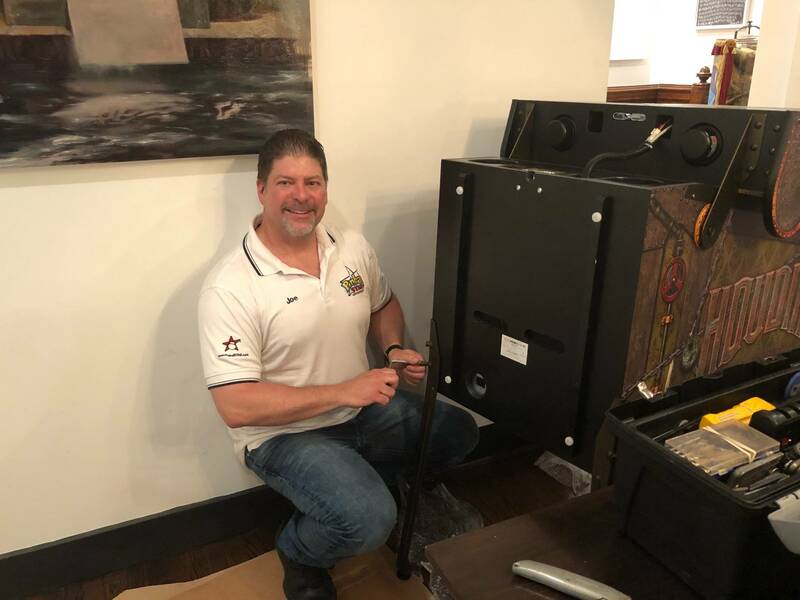 It's an imperfect science, but a lot of thought goes into it so it is as fair and equitable to both the distributors and to the customers as possible. Do people try to buck the system ? Sure... I once had a guy on DI come to me when they started shipping after 6 months of preorder with this line 'How much extra can I pay to get my game now'... I told him nothing cause it won't happen. He still did order from me, then later cancelled when he got one earlier, probably by stealing someone else's spot in line from a distributor who was less than ethical and felt a few hundred bucks was worth screwing his earlier customers. 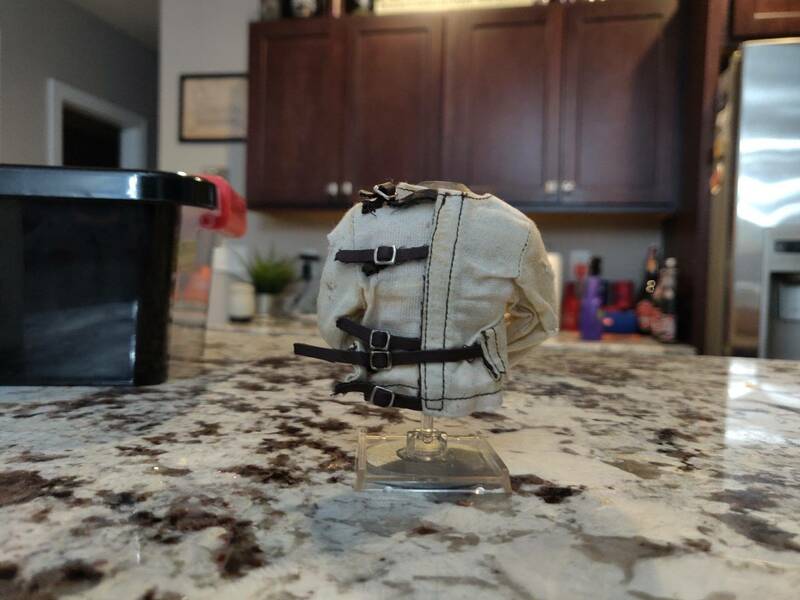 A few extra bucks or one sale is not worth the reputation I've build for years. I'm not your guy for that. Rest assured guys like that will not be the guys answering the phone on a weekend, texting you during their family dinner to answer your questions, or helping you with service issues, they are motivated by $ only and when they have it their motivation to you is over. That's just a general comment and that said, AP for the most part has a really small but top quality team of distributors - they didn't appoint just anyone, they did their homework. It's all good, Joe - nobody's trashing you. We're just excited to some day get these games - and I can only speak for myself - I've not bought NIB before, so this is all new to me. I'm always available and have answered every email from you in record time... Any questions on status... just ask ! Happy to tell you what I know - I talk to someone at AP probably just about every day lately ! Thanks Rob ! Joe, that was excellent. I love it when a manufacturer or distributor comes on Pinside and speaks truth but backs it up with facts and information that we can all understand. I love this thread because of Rosh and I’m very impressed with your post. Granted I have read some of his posts, I'm Glad he only has Your phone number. lol Take this for what its worth, I actually appreciate how high strung (in a good way) you get about your business and how you safe guard your reputation. It shows you give a crap! Love it. 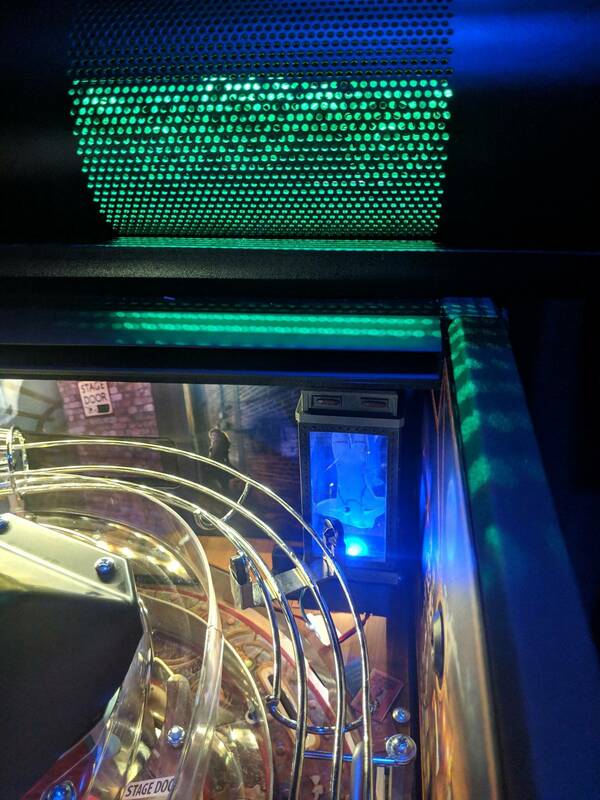 Now about that coin door color on my POTC CE..... Richie said I need help him persuade you lol. My wife has another word for my 'high strung'-ness... Ya I care - I work so hard to always do the right thing, never want an impression otherwise. 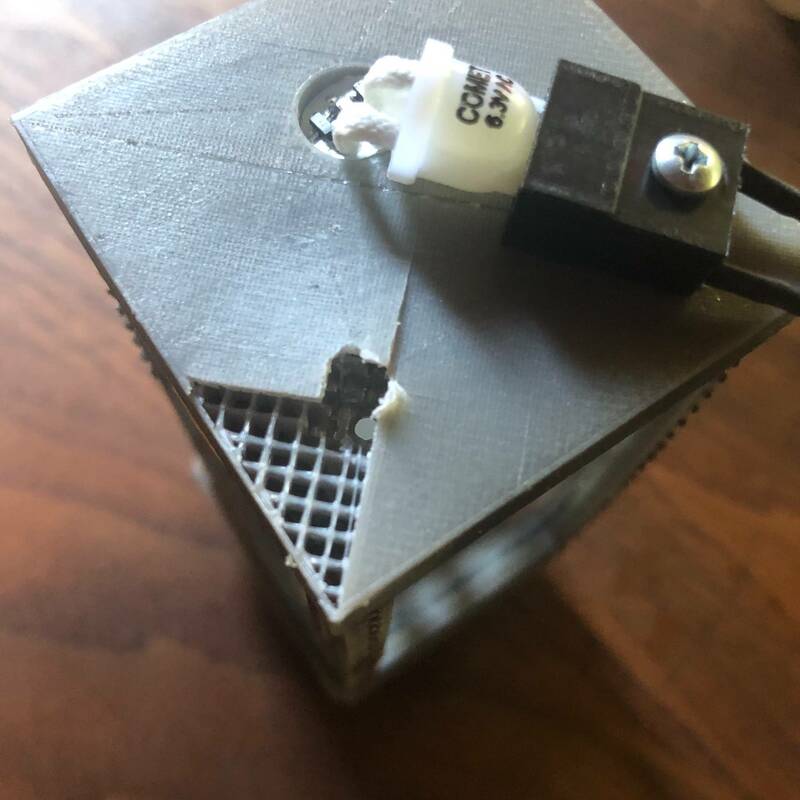 Can we not talk about Richie Wrench anymore - he's been quiet lately and he's like Candyman, you mention his name 3 times in a thread and all of a sudden he's texting you at 2am telling you the ground wire braid should be painted gold on his game or he's going to lose his mind. pinballstar definitely the man. He has earned my business thru the years and I hassle him all the time, not once has he ever not taken the time to help and/or explain things in detail as can be seen in the posts above. Good and ethical business practice in this industry will put you on top most every time and glad there are still people out there that care about their reputation and customers like Joe. It's 5 times, don't worry. All good guys... let's talk about Houdini gameplay, rules, etc... not the wait list and distributor stuff ! That's boring ! 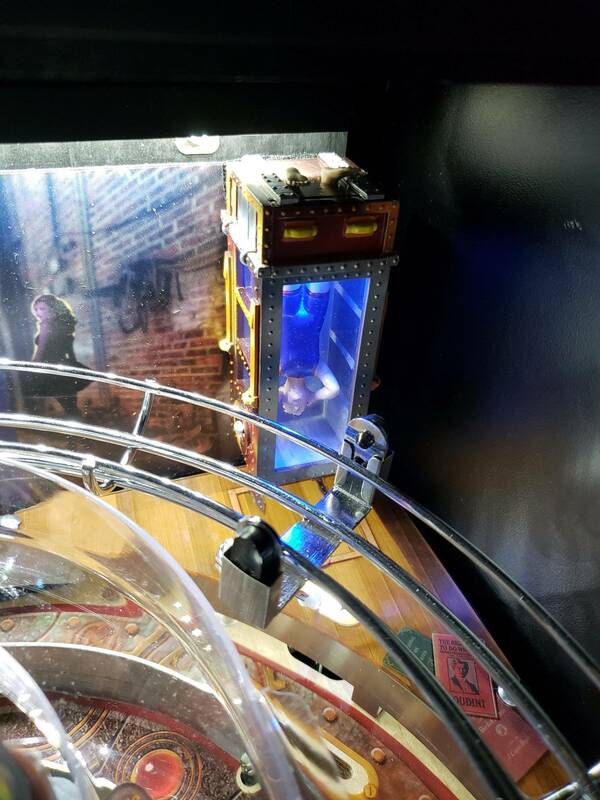 Anyone gotten or seen the magic glass yet? If so, comments on it? Let's all text Joe at 3am and get this game to you now. Worth the wait Modfather. 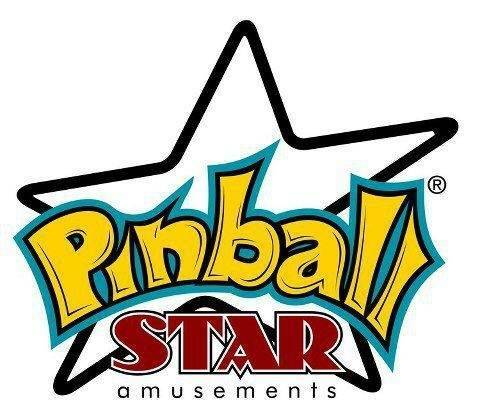 PinballSTAR will have our usual lineup of games from all the companies we sell for... Many in stock NIB, several below open for play... Final line up below... Oh and WE HAVE AN ALICE COOPER coming !!! ALSO - I plan on maybe bringing some games for sale from my personal collection - not sure which ones yet... Depending on booth space might only bring if pre-sold. * Genco Gypsy Grandma Fortune Teller - rarer / more desirable pedestal model - 1950's - fully restored. 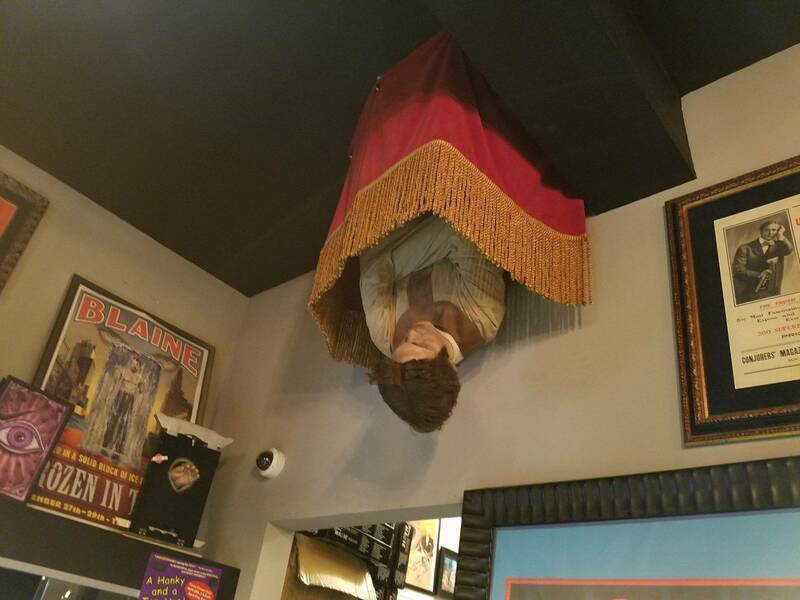 Neil Patrick Harris now has his Houdini ! 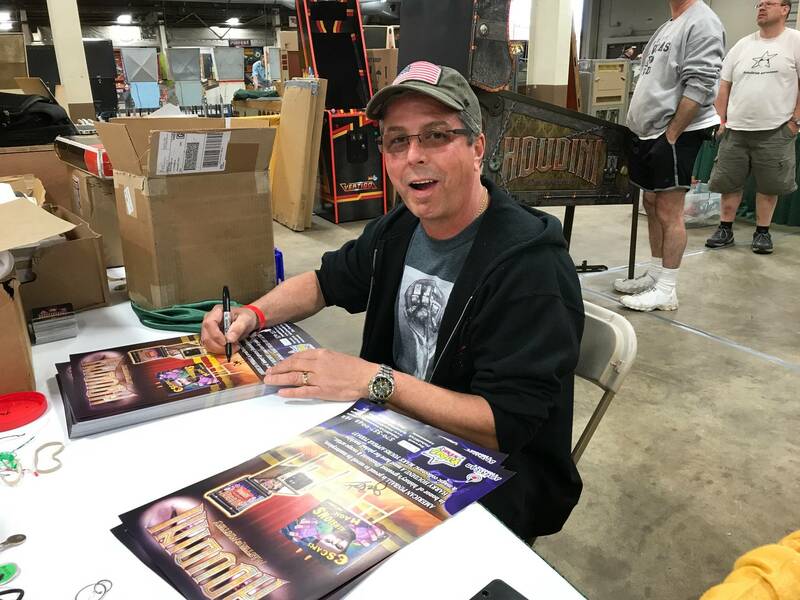 PinballSTAR will be at ReplayFX again in 2018 ! WITH HOUDINI ! We will bring INVISIGLASS if anyone wants to pre-order before the show - discounts for multiple sheets - we will ONLY bring what is pre-sold. Email Sales@PinballSTAR for pricing. 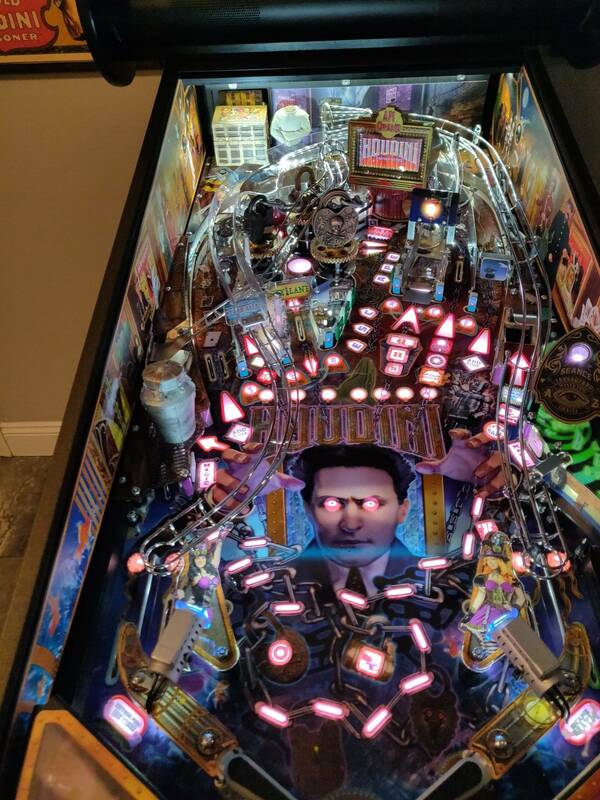 Email Joe at Sales@PinballSTAR.com for our full price list. 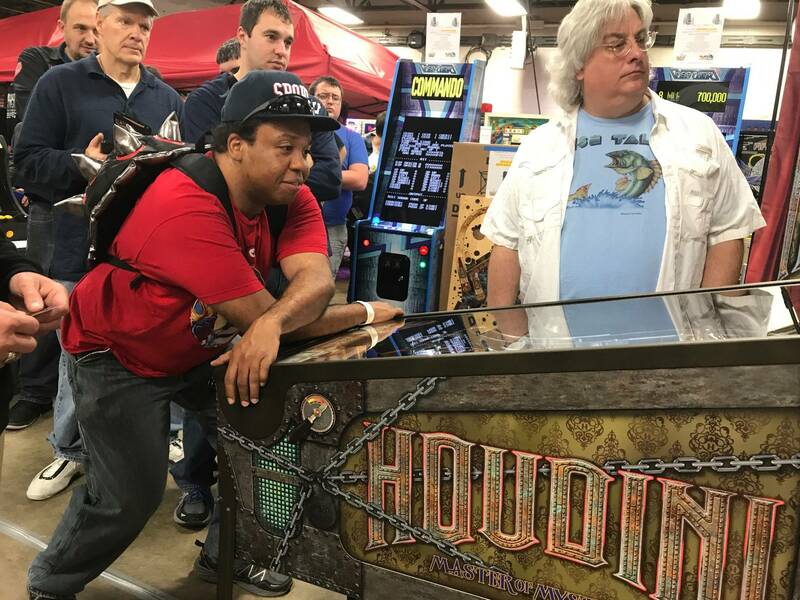 Chicago Pinball Expo HOUDINI sale ! 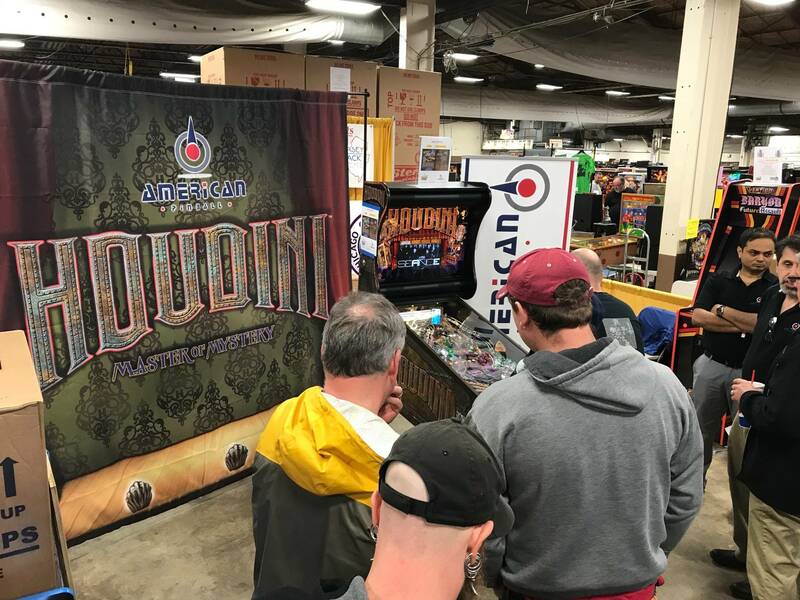 American Pinball will have Houdini show games that will be for sale. 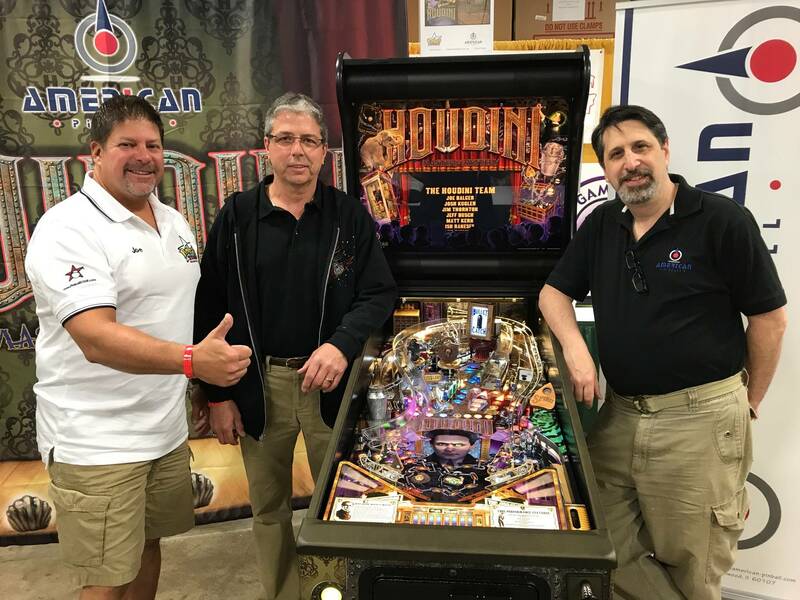 Contact Joe at Sales@PinballSTAR.com or call 570-357-0042 if you are at the show and want to buy one of these or visit us at our booth next to VP Cabs red tent ! We also have a discounted open show game at our location in PA and some New In Box games. We can ship these nationwide. Email is for the discounted pricing ! 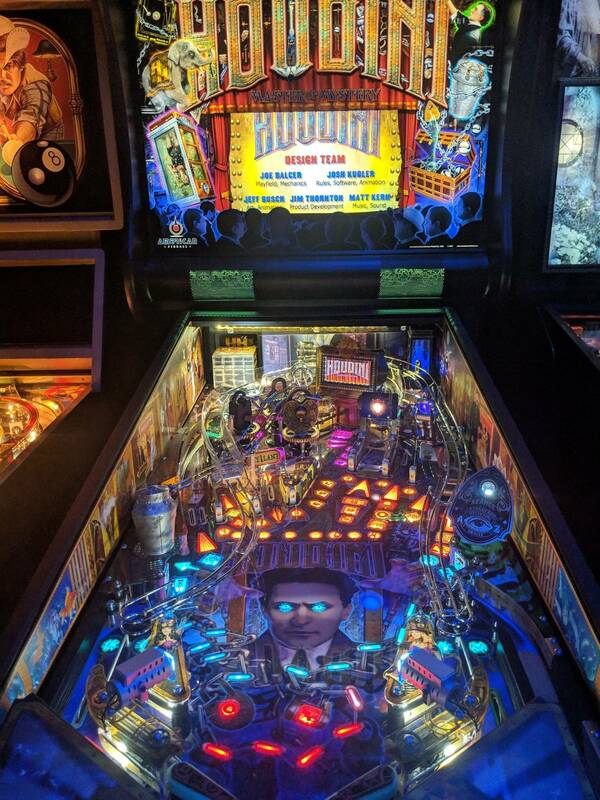 Email Joe at Sales@PinballSTAR.com !